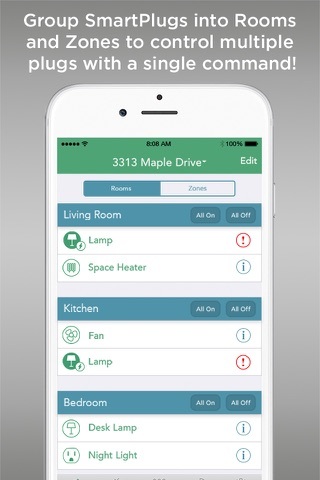 iHome's iPS6 SmartPlug lets you control any connected device from home or remotely from any location using the app on your iPhone or iPad. Turn on a light or turn off small appliances with a touch of your fingertip. You can even use Siri voice commands. Integral Apple HomeKit technology provides easy, consistent control of any compliant devices connected to iHome SmartPlugs. So you can give guests or others control of the SmartPlug, the iSP8 includes a one-button handheld remote. It conveniently turns devices on or off from up to 35 feet (10.6 meters) away without using an iPhone or iPad. Love the concept of the product as well as the design but it keeps dropping from my network. Had to reset it several time already. So, the plug did disconnect once while I was setting it up. May have been my error, but there you are. Otherwise, the plug works fine. I'm a little grumpy that So, the plug did disconnect once while I was setting it up. May have been my error, but there you are. Otherwise, the plug works fine. I'm a little grumpy that even though it works fine with HomeKit, you have to download iHome's app before you can configure the plug. One reviewed notes that the plug connects via wifi which I do think is a real advantage (over Bluetooth) because you can control the switch from anywhere. I didn't even realize this was a thing and now I'm going to be careful about this "feature." I've tried using it with Siri and with HomeKit; setting it up was easy and it works fine. And while the utility tracking thing may not be a big selling point, I'm happy to have it as I'm trying to be somewhat green and the awareness helps. I'm considering buying a couple more both for the energy tracking and for how well it works and how well it integrates into HomeKit. Fantastic! 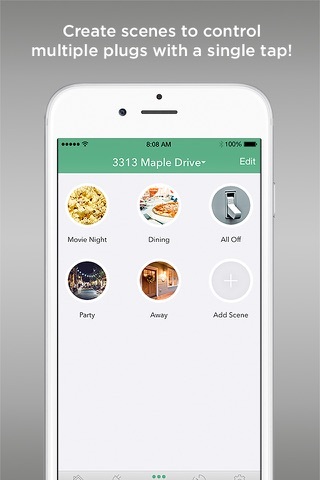 Very responsive via HomeKit or included remote. This iSP8 as well as iHome's iSP6X Wi-FI Smart Plugs are amazing. The shape of this plug easily allows for two plugs on one duplex receptacle and the manual but This iSP8 as well as iHome's iSP6X Wi-FI Smart Plugs are amazing. The shape of this plug easily allows for two plugs on one duplex receptacle and the manual button on the side is a great feature. I use these iHome smart plugs with HomeKit via my iPhone and Apple Watch (and remotely with the Apple TV 4 acting as the hub). Unlike competitor smart plugs that use Bluetooth as the main communication technology, these Wi-Fi smart plugs are able to connect anywhere in my house since I have great WiFi coverage. For the competitors relying on Bluetooth, the Apple TV 4 has to be within Bluetooth range in order to control those plugs - that is a large limitation that is not an issue with these! Is this review useful?Fantastic! Very responsive via HomeKit or included remote. Works great! I'm buying more! It works great. No issues. Is this review useful?Works great! I'm buying more! When plugged into a 2-outlet wall socket, does the SmartPlug's (vertical) size allow use of the 2d socket by standard 3-pronged plug? Yes, it does. This is the best form-factor smart plug I have found for that very reason. Can the remote be synced to multiple outlets, or is it one switch per outlet setup? Does this product work with electric current 110 wolts or is it bivolt? Does this product have dimming function? 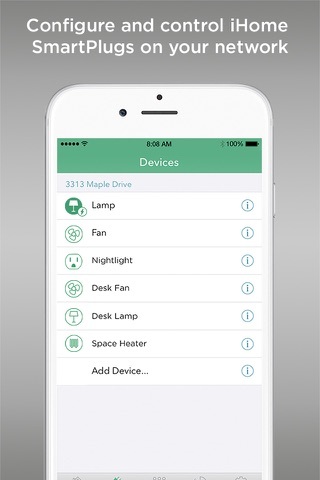 Use the iHome Control SmartPlugs and app to control lamps, fans and more with your iPhone, iPad or iPod Touch. 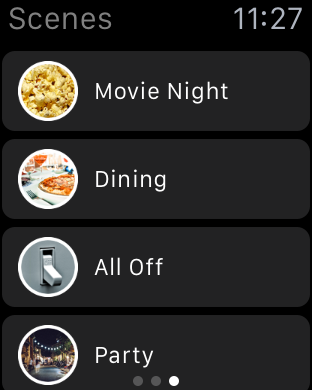 The app can also be used to setup notifications whenever the iHome SmartMonitor detects changes in motion, temperature, humidity, light or sound. 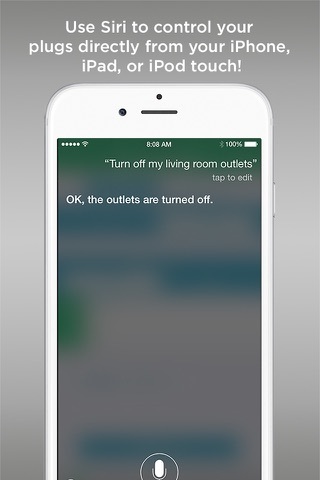 • Create Home Automation rules to trigger iHome SmartPlugs based on specific triggers detected by the iHome SmartMonitor. iHome Control SmartPlug now works with Amazon Echo and Dot (Alexa), SmartThings, Wink and Nest Thermostats. 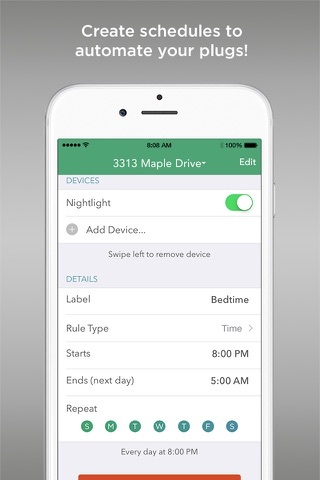 For more information, please see "Third-Party Integrations" in the Settings section of the app.